Project managed by our own advertising specialist, Ted Weller, who has many years of experience gained whilst working for the global advertising agencies, Bartle Bogle Hegarty and Saatchi & Saatchi, we have a wealth of knowledge about advertising research. Whether it be online, on paper or presenting to your Board, we offer considerable expertise in pre and post campaign advertising research. 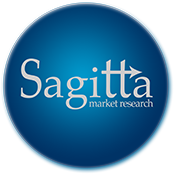 Sagitta Market Research Ltd has conducted advertising surveys for products as diverse as cars, alcoholic beverages and healthcare products. Unprompted and prompted awareness questions are handled carefully and thoroughly by our team of experienced interviewers. Our interviewers probe exhaustively at open-ended questions, so that you will achieve the level of results you require to evaluate your company’s ads. Please contact us to discuss your advertising research requirements further.